There are two types of people in the world: those who dip their French fries in milkshakes, and those who do not. 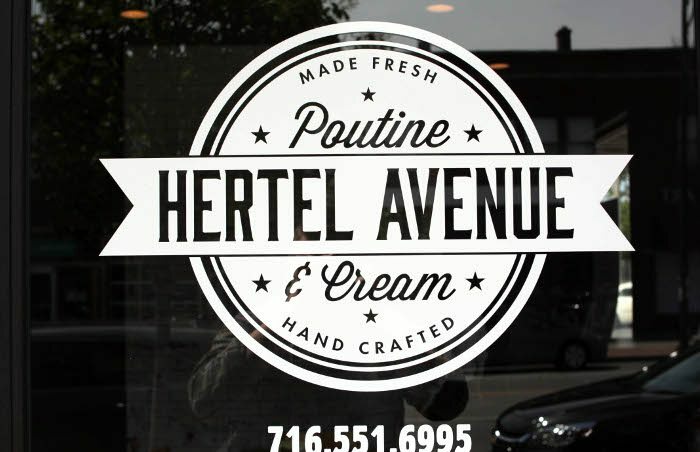 For Jake Fraser, co-owner of the new Hertel Avenue Poutine and Cream, it’s the former. 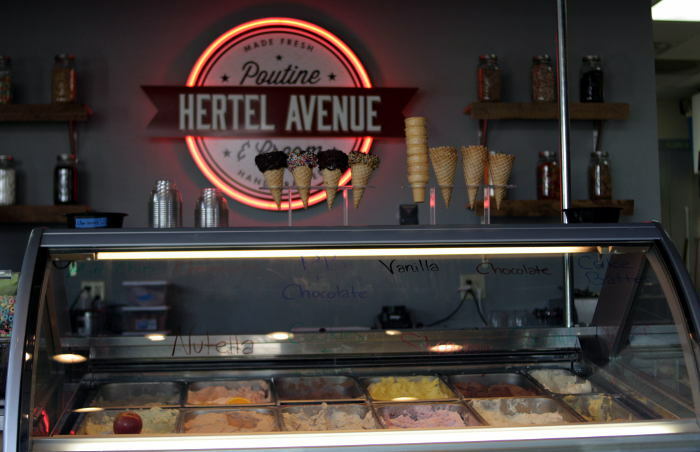 Hertel Avenue Poutine and Cream opened its doors last Thursday to ice cream and french fry lovers alike. 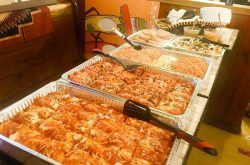 Living up to its name, the quaint eatery specializes in the French-Canadian dish of poutine, as well as – you guessed it, ice cream. But this smaller restaurant has a lot more to offer than just satisfying nosh. Poutine and Cream is located right next to Family Video and seats 19 guests inside, for now. Fraser said if all goes well, the restaurant will be officially signed off for a 50 to 60-seat patio on June 12, just in time for summer. 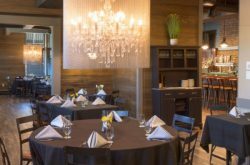 A restaurant geared more toward families was the goal for the new spot, according to Fraser, who is also co-owner of Allen Street Poutine Co. The family-friendly vibe is clearly on display with the tile wall. Like Allen Street Poutine, the new restaurant has a long center table and a smaller version of the beloved white tile wall, which guests are free to write and draw on with markers from the front counter. The closer you get to the bottom of the wall, the more it looks like some young Picassos were diligently at work. 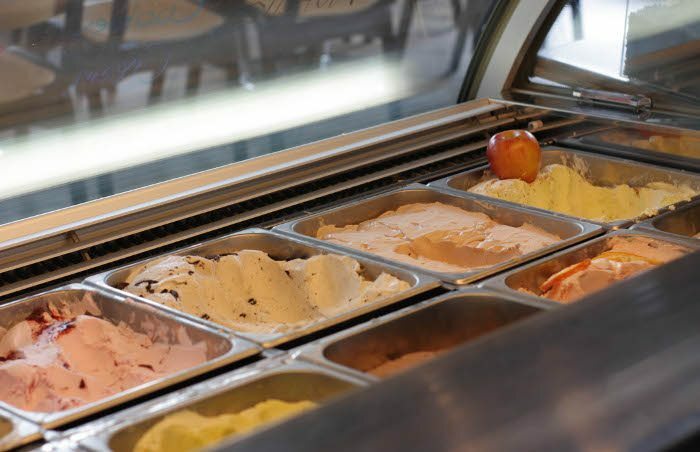 Poutine and Cream makes all its hard scoop ice cream in-house daily from scratch. There’s seven main flavors: Nutella, chocolate, vanilla, strawberry, peanut butter and chocolate, cake batter and a vegan option (currently peach mango). While the ice cream looked great, we chose some items which, depending on your preference, may be even better. We ordered “freak shakes,” which are the most picturesque masterpieces of milkshakes around. Each of these colossal shakes are served in Mason jars, costing $8 each. The first, called The Chocolate Mouse, is peanut butter and chocolate ice cream with a chocolate-dipped rim sprinkled with Reese’s Pieces, with whipped cream and two peanut butter cups, chocolate and caramel sauce to top it off. 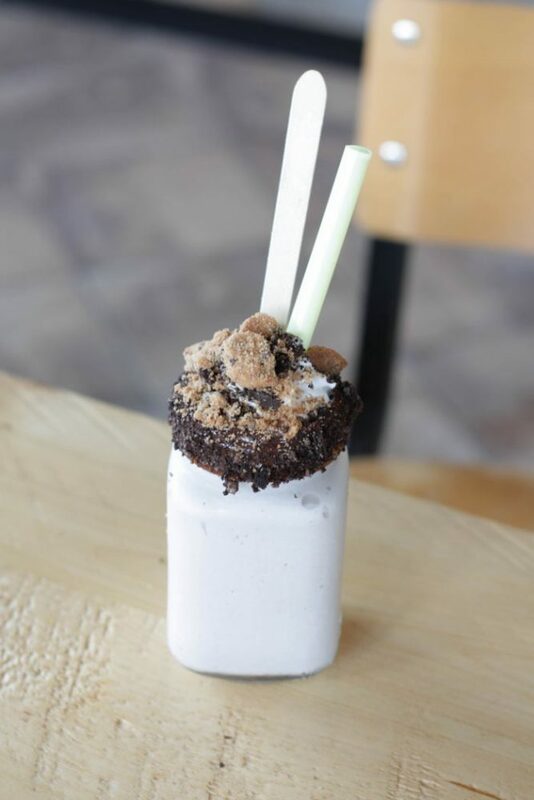 The second, called The Cookie Monster, has cookies and cream ice cream (white chocolate ice cream with Oreo’s), with a chocolate-dipped rim sprinkled with Oreo’s on the rim, whipped cream with Chips Ahoy and more Oreo’s on top. Also on the menu was a “birthday creamy bun,” which was exceptionally good. It had cake batter ice cream with sprinkles. 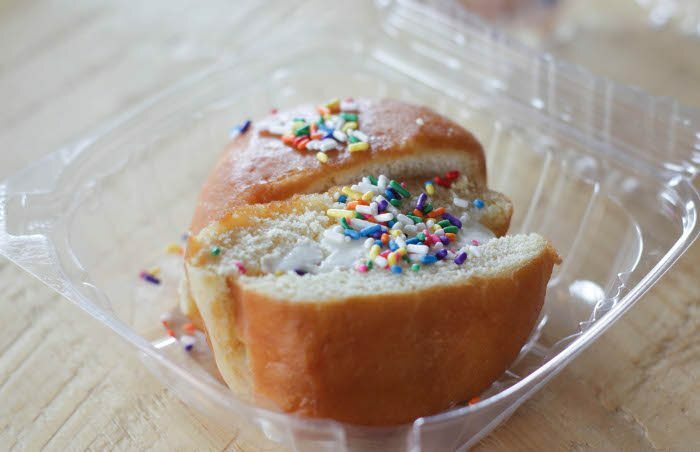 Creamy buns are essentially ice cream doughnut sandwiches, also known as Heaven on Earth. “We take Famous Doughnuts from Main Street, cut them in half, there’s cold ice cream on the inside as well as some toppings, and we press it so it’s a nice and warm doughnut on the outside,” Fraser said. We spoke with Fraser the day after he experimented with some potential ice cream flavors. Hot chocolate marshmallow and chocolate chip cookie were his most recent explorations, while fudge and red velvet were next in line. Creamsicle and green candy apple pie ice cream were the freak shake specials during our visit. In the near future, he plans to rotate new freak shake and creamy bun specials in every week, along with new ice cream flavors. 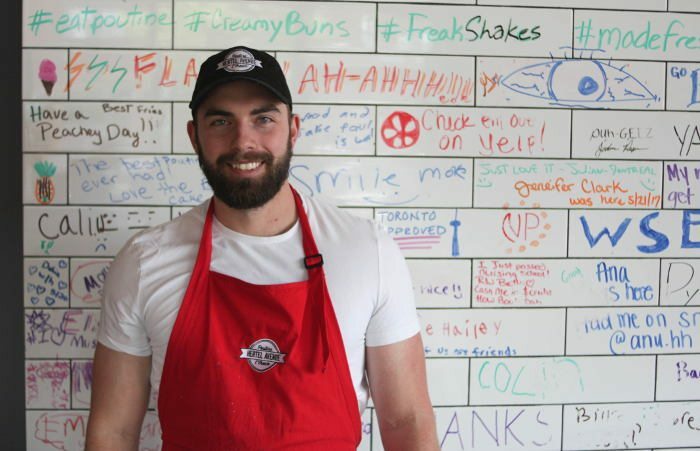 While there weren’t any ice cream shops around on Hertel Avenue when Fraser and others first thought of the idea for Poutine and Cream, there’s now two new ice cream shops tentatively opening soon. Lloyd’s soft-serve ice cream shop, Churn, is scheduled to open across the street this spring, as well as a new Lake Effect Ice Cream location down the street. Despite the coming additions to Hertel, Fraser remains optimistic about his restaurant and other businesses in the area. He said he’s excited to try his neighbor’s ice cream, too. Next Wed., May 31, Fraser said there will be a special half price on creamy buns and ice cream cones at Poutine and Cream. 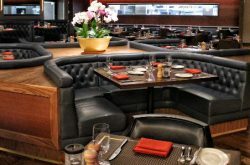 He said the restaurant is looking to get a beer and liquor license and add a burger extension to the menu, even planning to pull some aspects of the menu and bring them back to Allen Street. Hours: Sunday: 11:30 a.m. – 11 p.m. Monday – Saturday: 11:30 a.m. – 12 a.m.